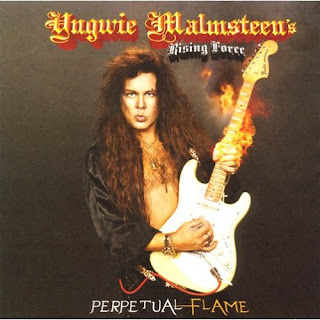 Hall of the Mountain King: Review: Yngwie Malmsteen, "Perpetual Flame"
Review: Yngwie Malmsteen, "Perpetual Flame"
Here's another bit of catch-up from late last year. New stuff's coming soon. Perhaps I need to go back and take another listen to some guys like Jeff Scott Soto and Joe Lynn Turner. I may owe them an apology of sorts. You see, I’ve always thought that the weakest part of any Yngwie Malmsteen record was the vocals, and I always blamed that on the singers, who I found bland and a little generic. I was pleased, then, that for his latest record, "Perpetual Flame," Malmsteen signed on former Judas Priest and Iced Earth vocalist Tim Owens. Here’s a guy that I consider arguably one of the best singers out there and certainly one of the most underrated. (Admittedly, he’s partially to blame for that by making himself a perpetual replacement singer instead of doing his own thing.) Malmsteen also recruited keyboard player Derek Sherinian, who is about the only keyboard player out there whose existence I acknowledge. Perhaps my expectations were a little too high thanks to the new lineup. Now, I understand, it’s not so much the singer as the way that Malmsteen composes his songs. There can be no misunderstanding which instrument that Malmsteen guy plays, and his scalloped Fender Strat won’t be overshadowed by anything else on the record. Thus, the vocal lines and melodies are often generic, as on "Damnation Game," a song that Malmsteen has done over and over and over through the course of his career. That’s not to say Owens doesn’t get his moments on this record, and when he gets those chances he makes them count. The record opens with one of the better cuts, "Death Dealer," which is perhaps the most aggressive tune Malmsteen has written in a while. The hard rocker "Red Devil," where Malmsteen’s fretwork is a bit more subdued is another strong moment for Owens. Not surprising that it has a bit of a Priest feel. 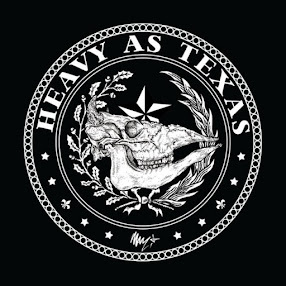 Owens’ best performance comes on the slightly exotic "Live to Fight (Another Day)," which has the feel of a "Framing Armageddon" Iced Earth tune. Of course, the star of the show is going to be the neo-classical noodling of Malmsteen himself, and there is some impressive work here, most notably on the tunes where he kicks into the classical mode like "Four Horsemen (of the Apocalypse)." After so many years, Yngwie’s fretwork is still top-notch and his finger-pretzeling solos remain quite impressive. As on any Malmsteen release, the ego is reflected all over this record from a silly airbrushed cover that shows a stylized version of Malmsteen that’s at least 20 years younger than the real one to Malmsteen’s turn on vocals late in the record (something he should really never try.) Still, fans of shredding guitars will not be disappointed. Despite the fact that it could use a little wow factor in the areas outside of the guitar solos, "Perpetual Flame" stands as one of Malmsteen’s heaviest records and arguably his best work since 1988’s "Odyssey," the last of his albums to really hold my attention. When the fascination with the wild solos is over, though, there are likely only a few songs here that will hold listeners’ interest. Review: Hank III, "Damn Right, Rebel Proud"
Best of 2008: 1. Metallica, "Death Magnetic"
Best of 2008: 3. Kiuas, "The New Dark Age"